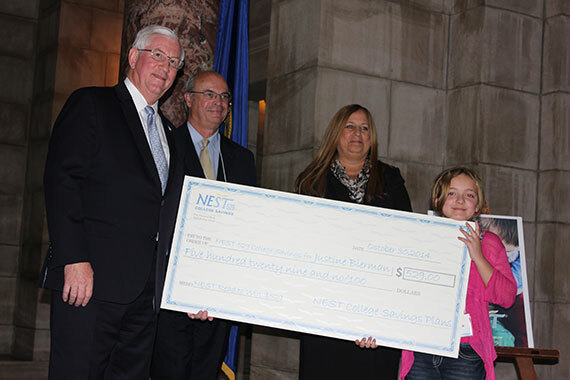 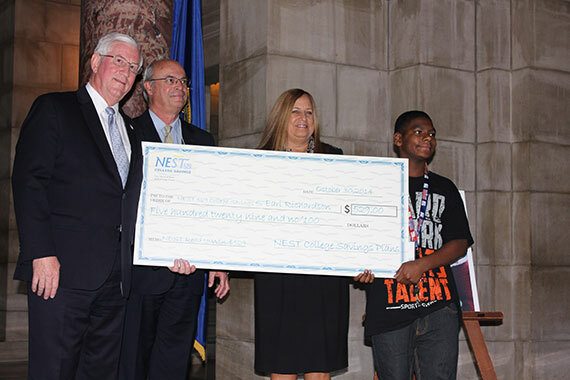 Treasurer Don Stenberg and First National Bank of Omaha presented $529 NEST college savings scholarships today to 10 young people, ages 6 to 16, from the 1st and 3rd Congressional Districts in the NEST Read to Win $529 Drawing, sponsored by the Nebraska Educational Savings Trust, First National Bank of Omaha, and the Nebraska Library Commission. 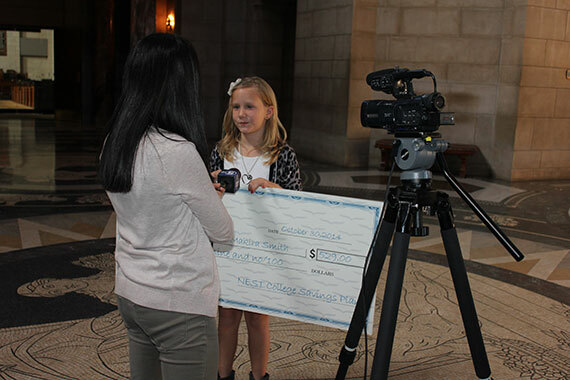 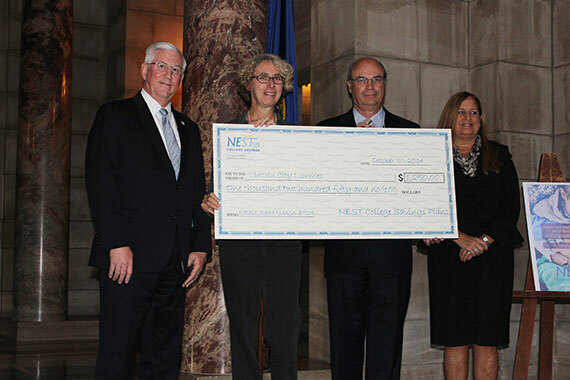 The Lincoln City Libraries received a check for $1,250 in the ceremony in the State Capitol Rotunda. 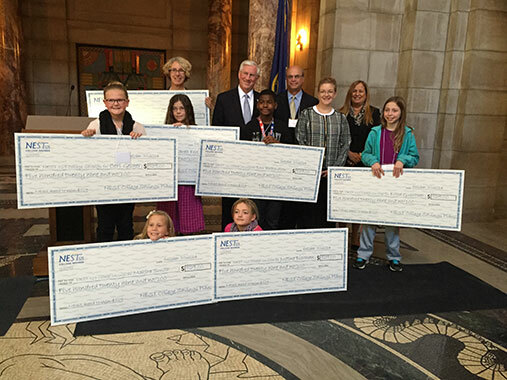 More than 20,000 children and teens were entered in the drawing after completing summer reading programs at their local libraries across the state. 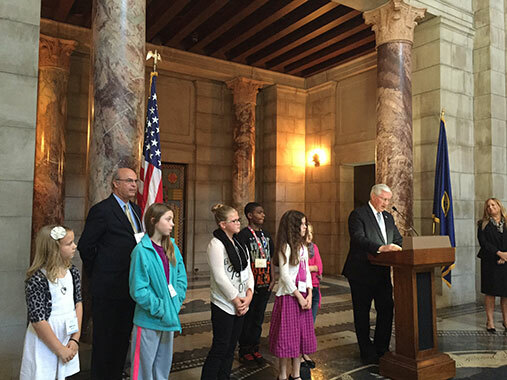 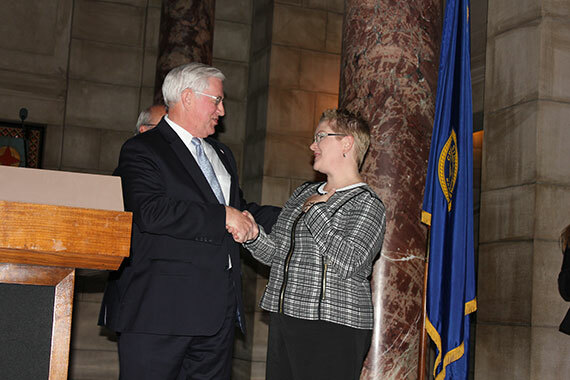 Five winners were selected in a random drawing from each of Nebraska’s three U.S. Congressional districts. 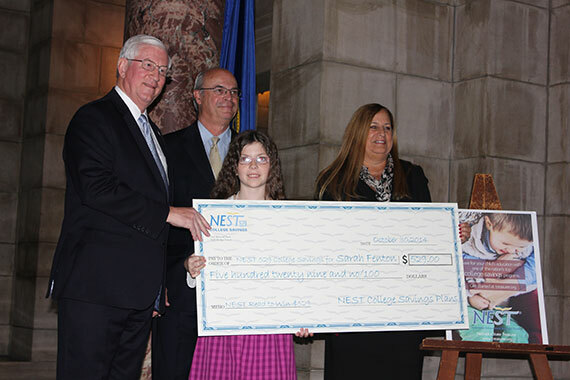 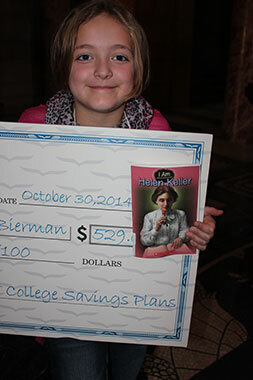 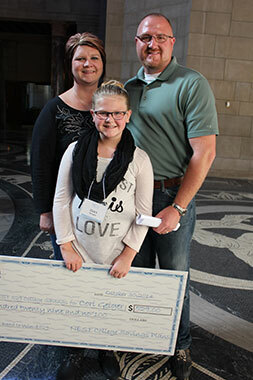 Each was awarded $529 in a NEST 529 College Savings account, and their respective libraries received $250 each. 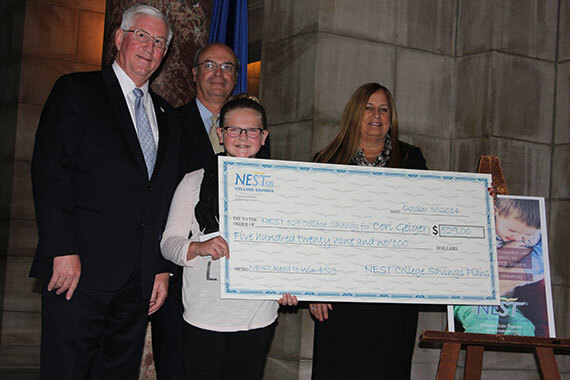 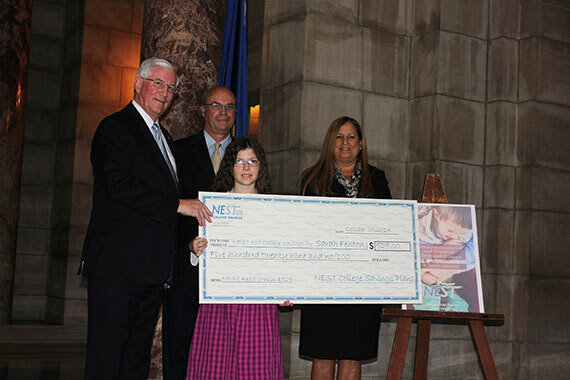 First National Bank of Omaha, program manager for NEST, provided the scholarship contributions and the donations to the libraries. 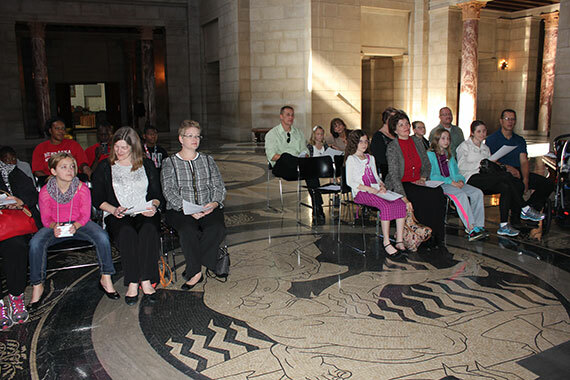 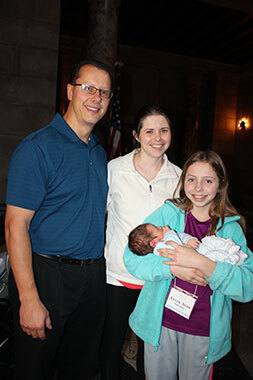 The 10 winners from the 1st and 3rd Congressional Districts were recognized today in the ceremony in the Capitol. 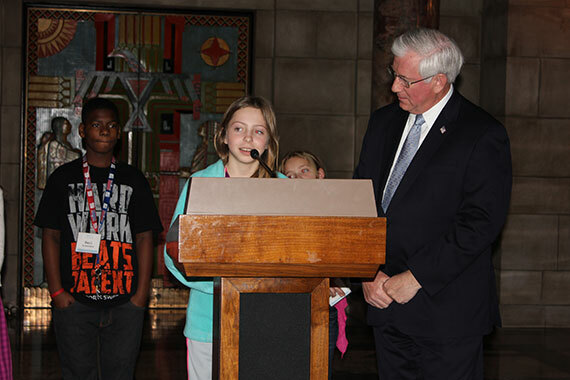 Winners from the 2nd Congressional District were recognized Oct. 21 at the Millard Branch of the Omaha Public Library. 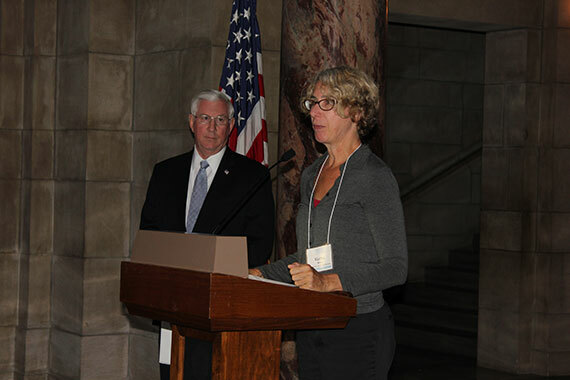 Joining Stenberg and Goodkin at the Rotunda presentation were Rod Wagner, director of the Nebraska Library Commission, and Vicki Wood, youth services supervisor for Lincoln City Libraries. 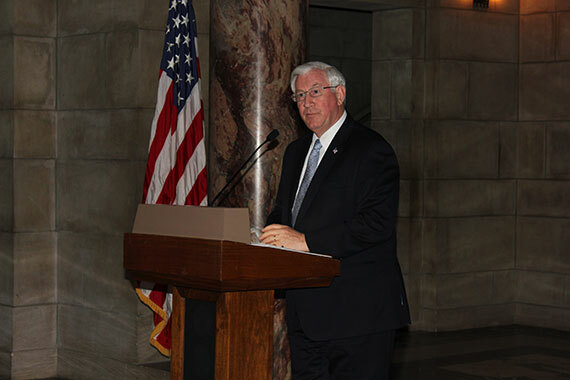 An avid reader, Stenberg said he read books checked out from his hometown Carnegie library in Tekamah, Neb., as a young child and later bought books through his school.